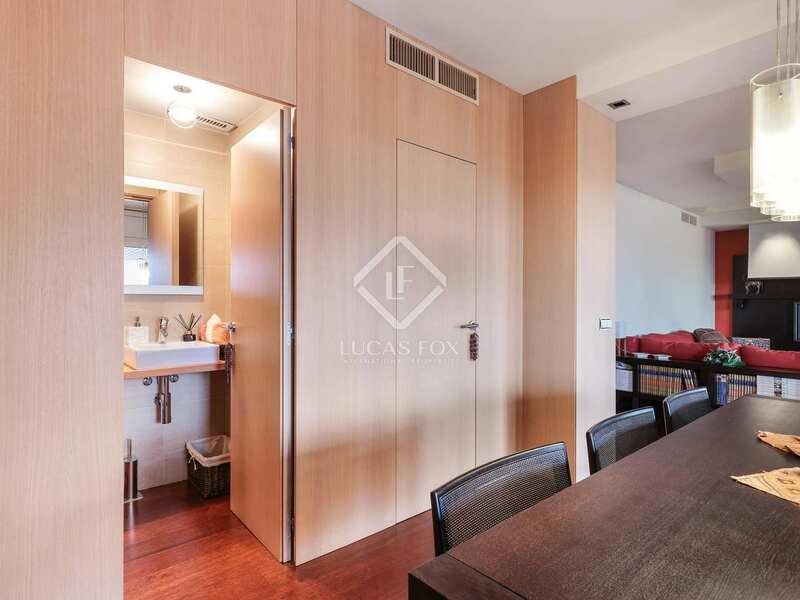 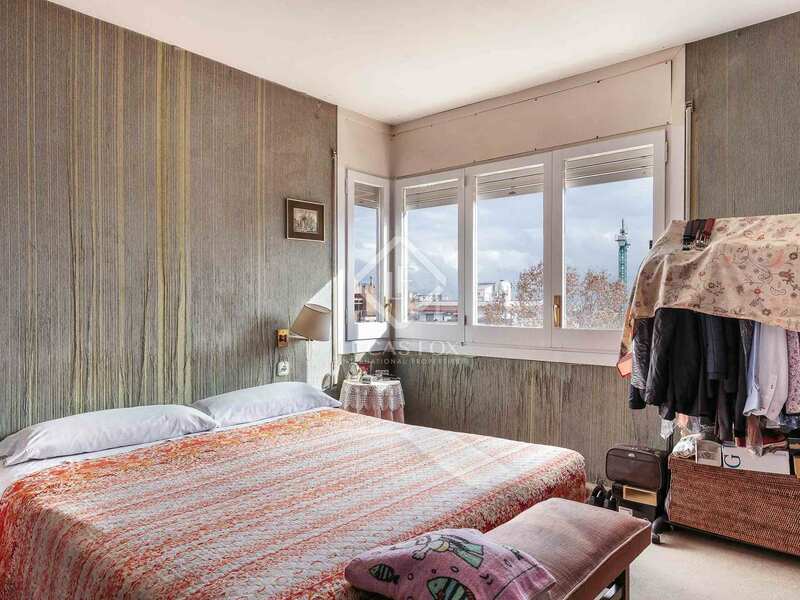 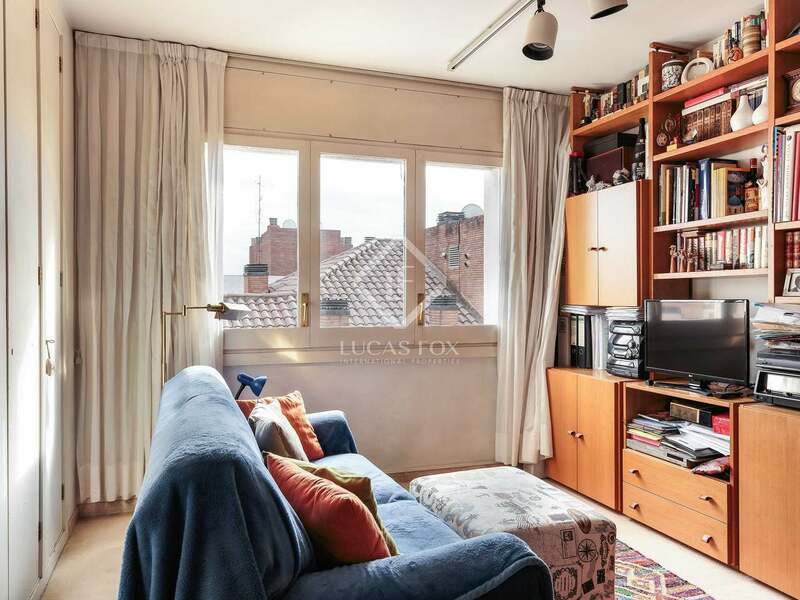 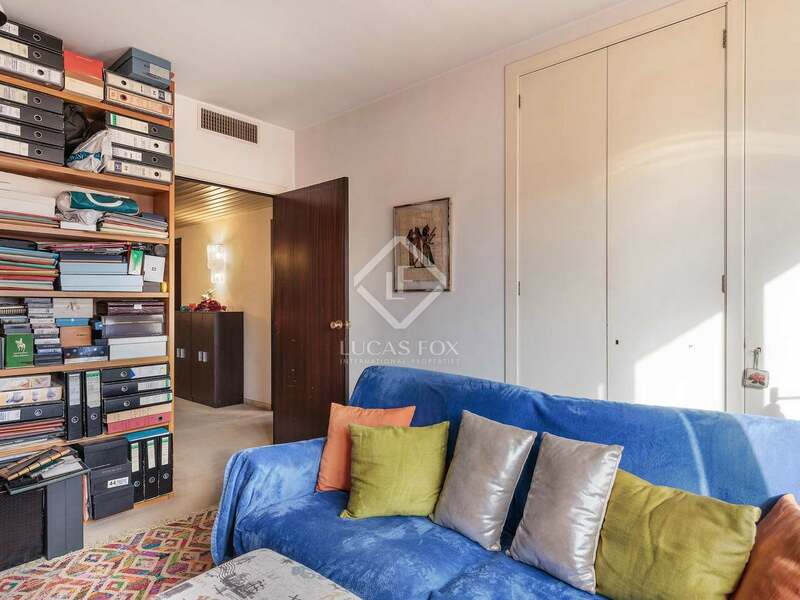 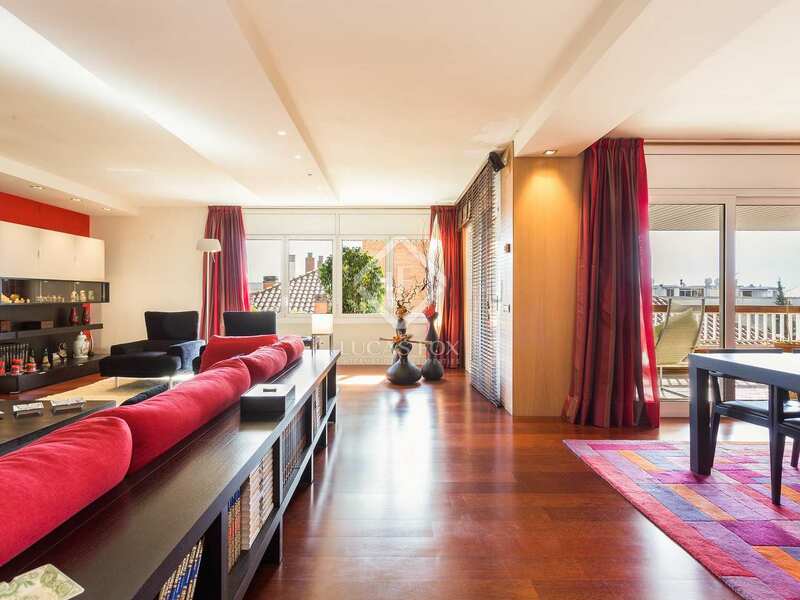 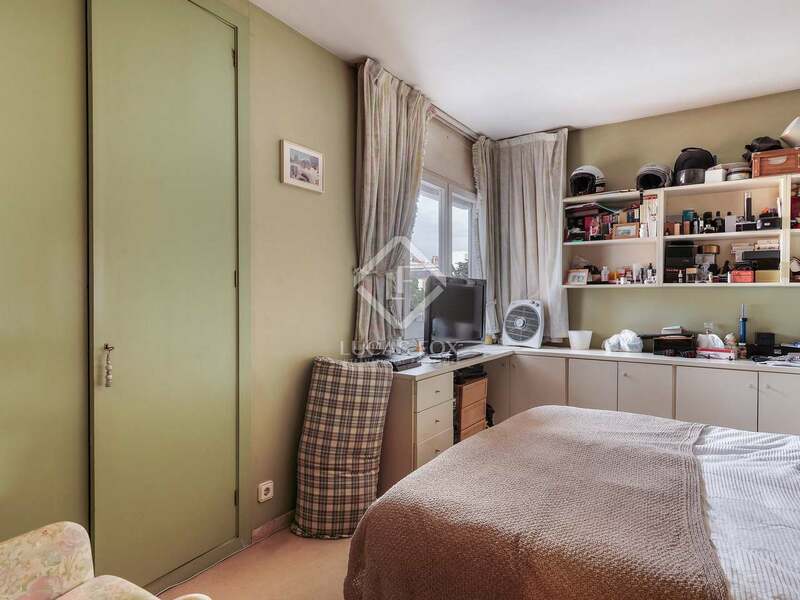 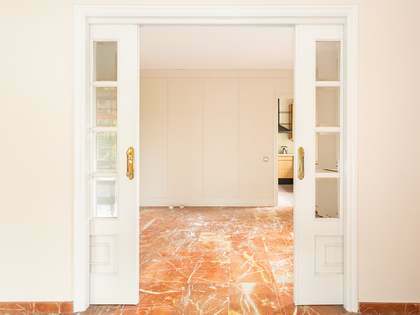 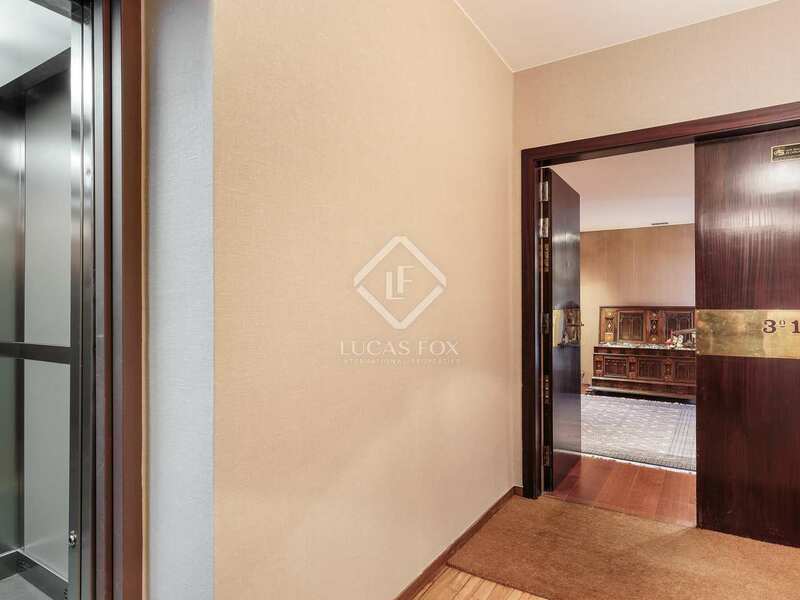 Bright, spacious, apartment with a terrace and 2 parking spaces in one of the best residential areas of Barcelona, Tres Torres. 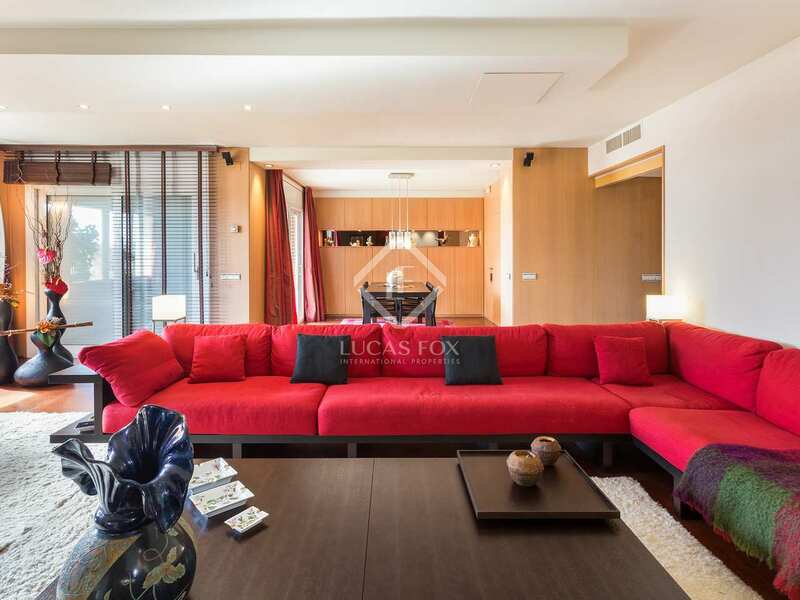 This magnificent property of 260 m² with a 10 m² terrace is located on the fifth floor (real height) of a building with a concierge service. 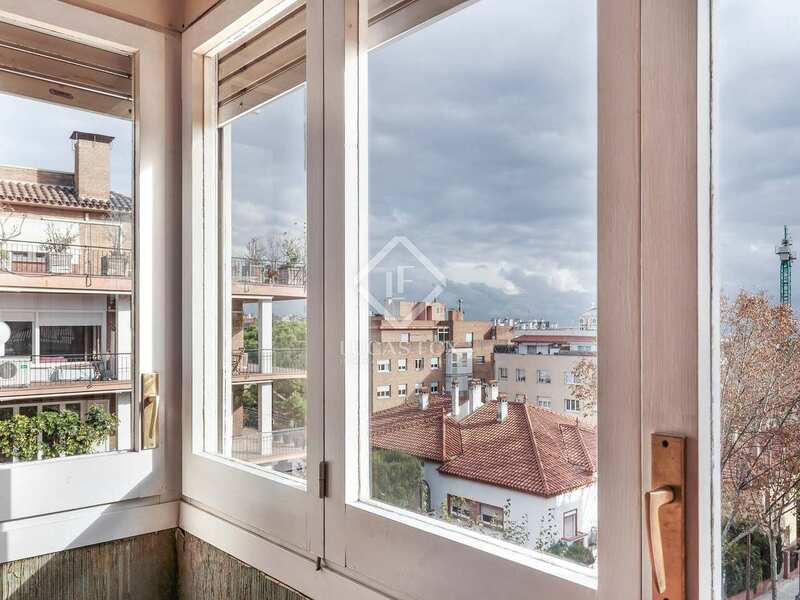 It is located in Tres Torres near the station and market, Vallvidrera tunnels, the famous Teknon clinic and the Ronda de Dalt ring road which offers easy access to and from the city. 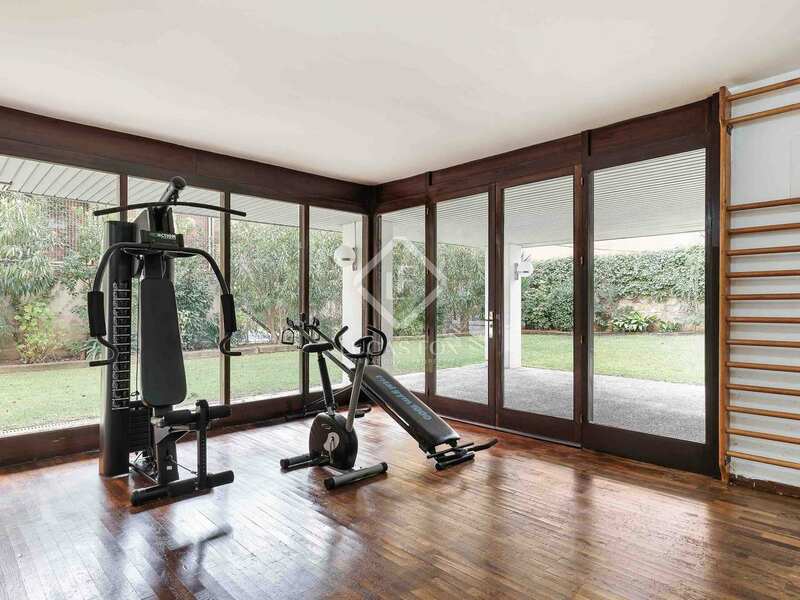 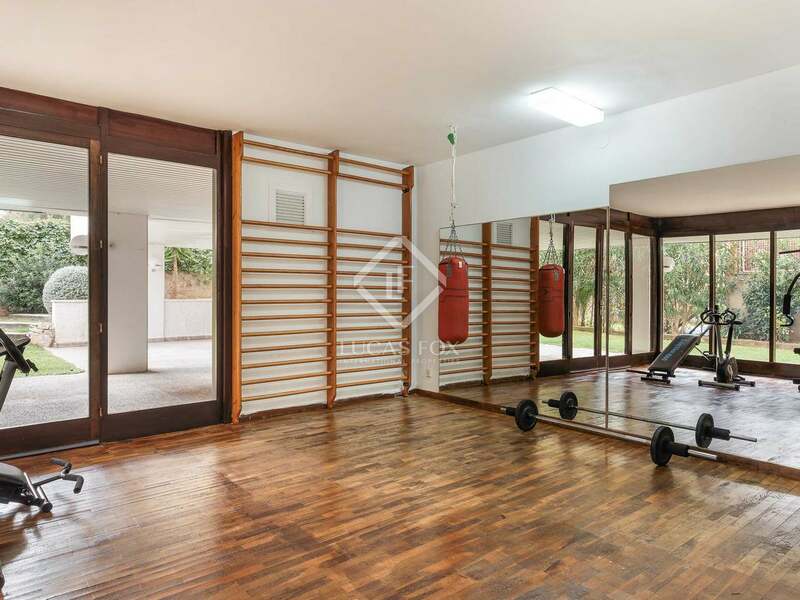 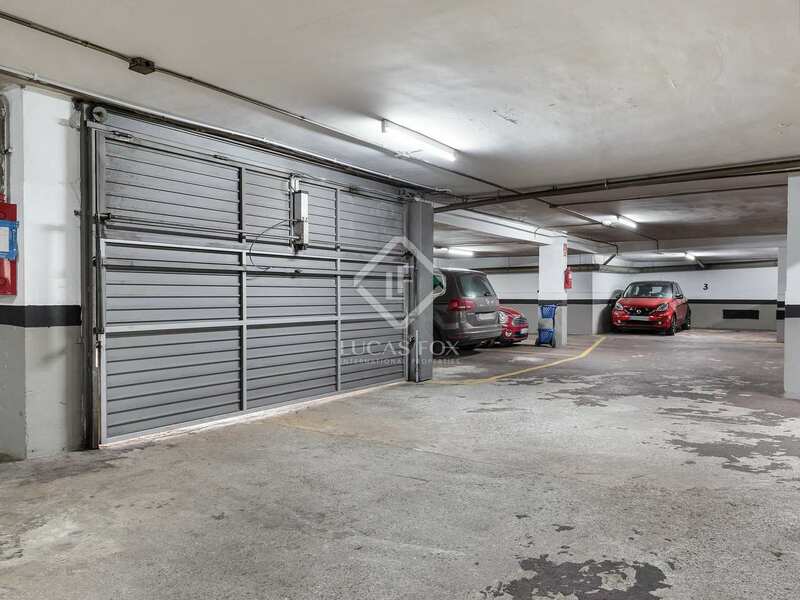 This modern property enjoys abundant natural light and includes 2 parking spaces and a storage room in the same building, as well as access to the communal garden, gym and sauna. 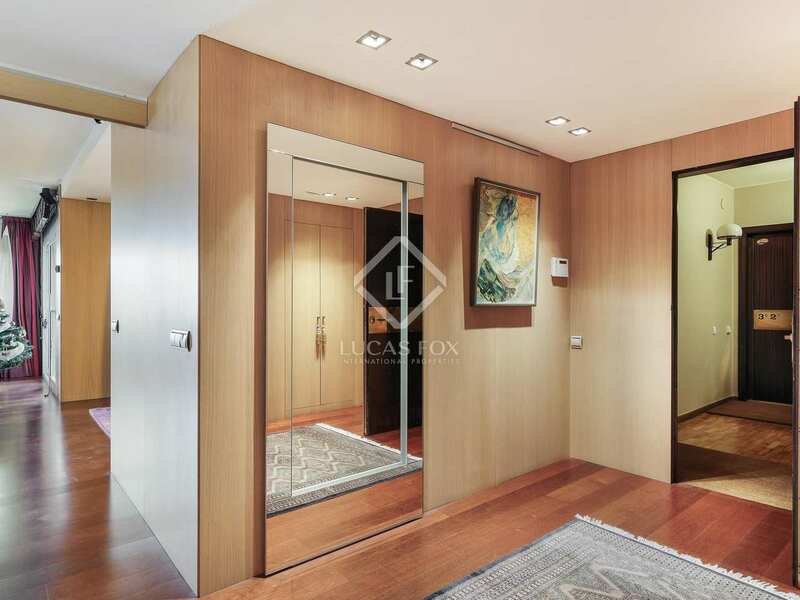 We enter the apartment via a large entrance hall with fitted closets. 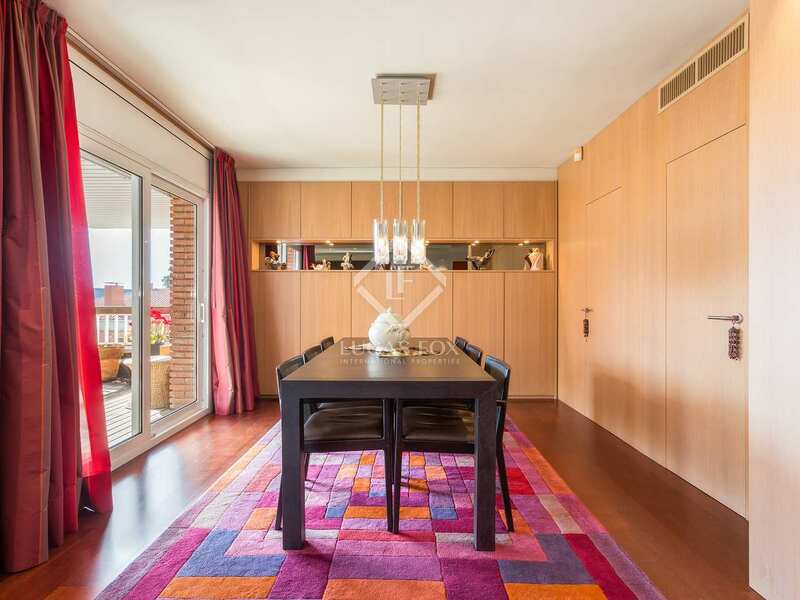 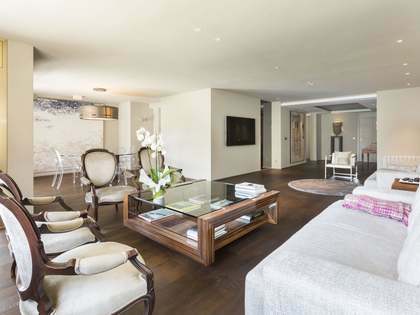 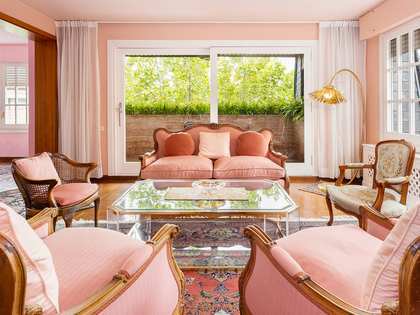 To the right we find the spacious living room – dining room with access to the terrace with unobstructed views and to the left is the fully equipped kitchen with a service bedroom and bathroom and views of Tibidabo. 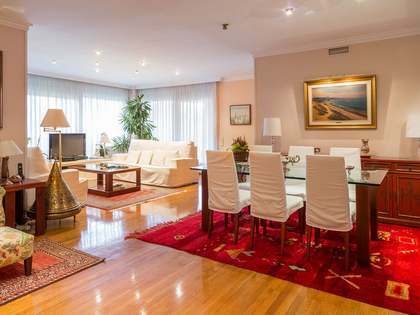 The living area was renovated recently. 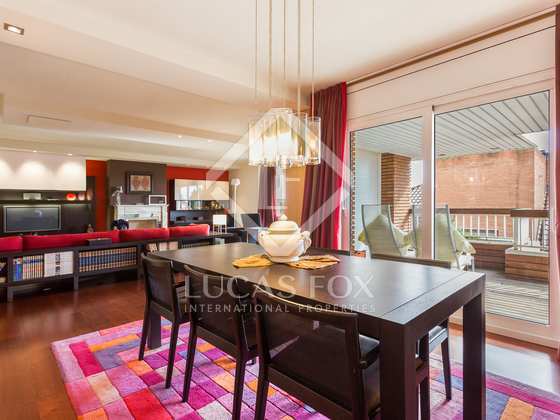 In the night area we find 4 double bedrooms and 4 bathrooms. 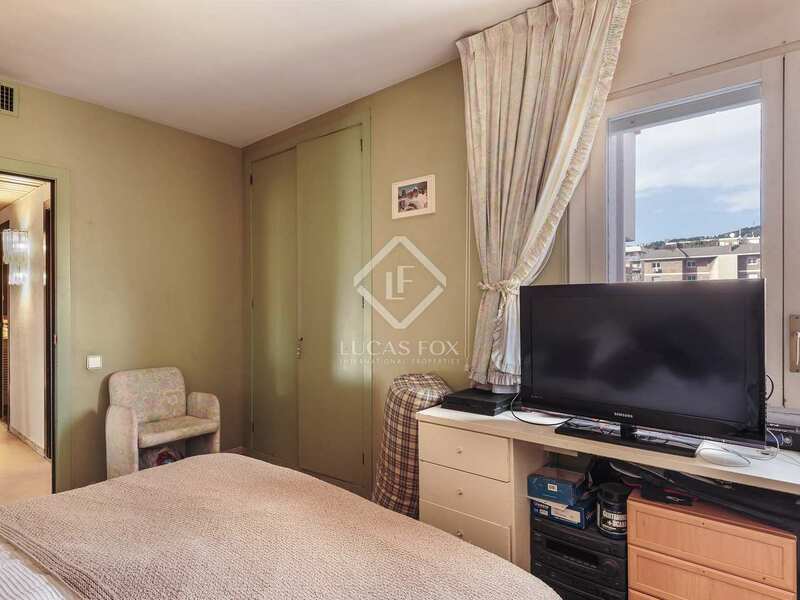 All of the bedrooms are exterior facing and have fitted wardrobes. 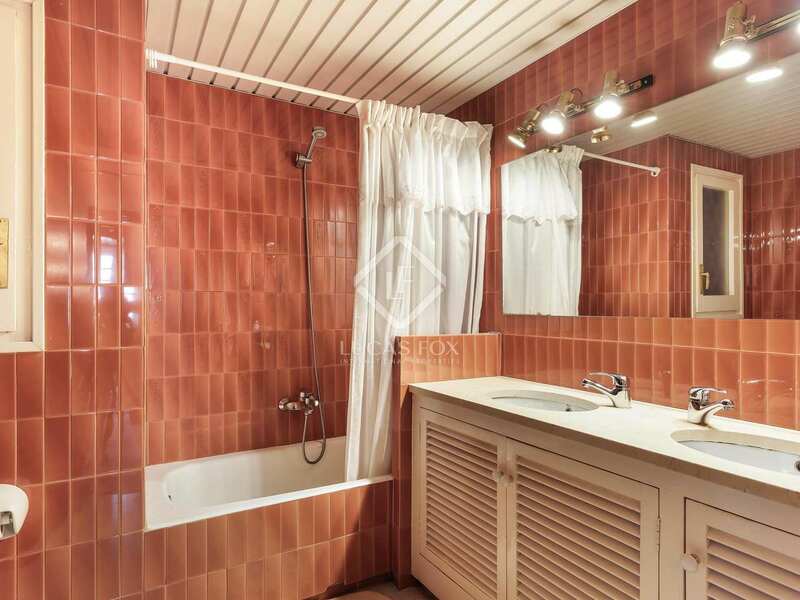 Furthermore, the property benefits from air conditioning and heating. 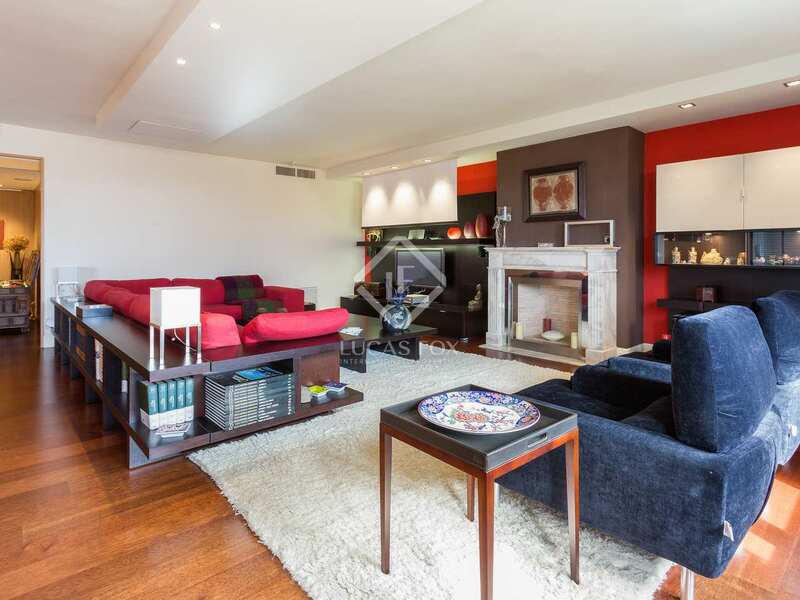 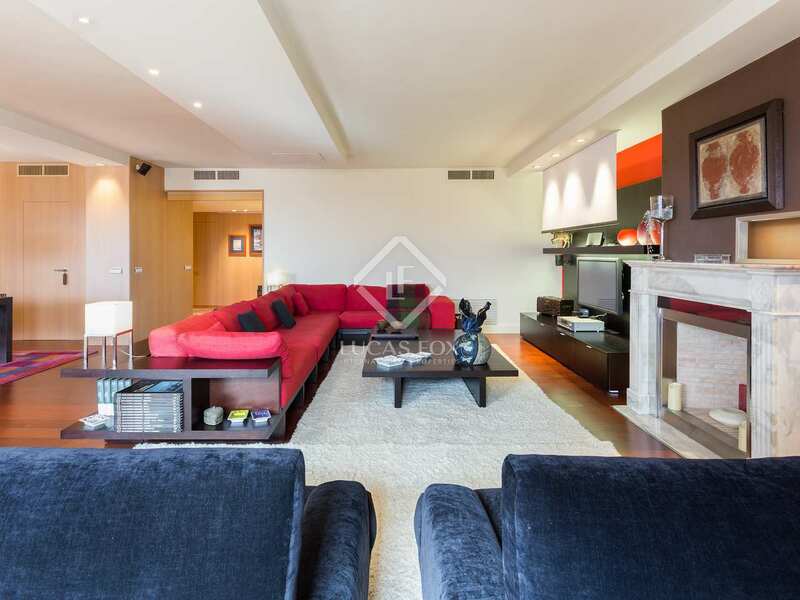 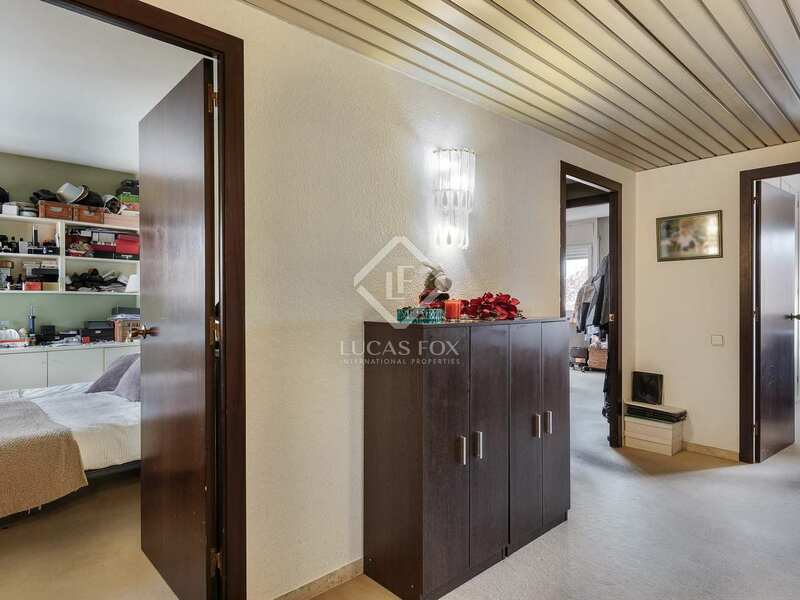 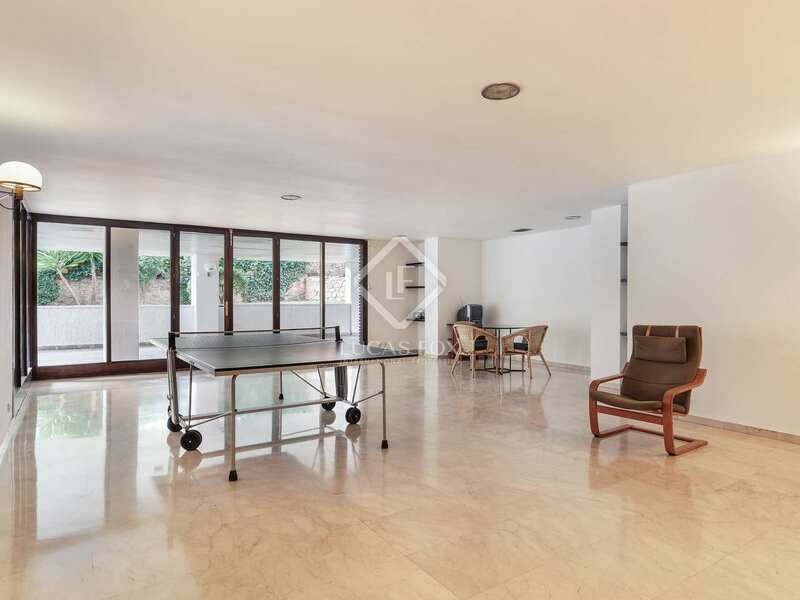 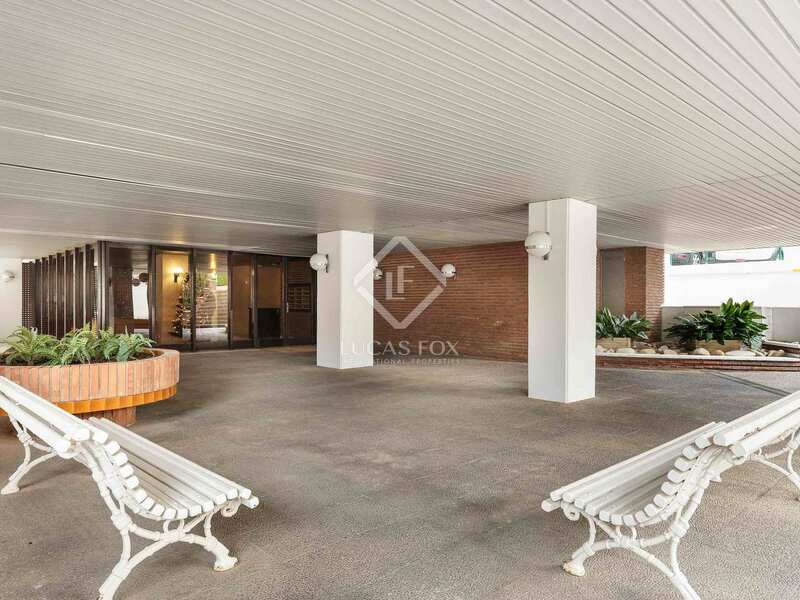 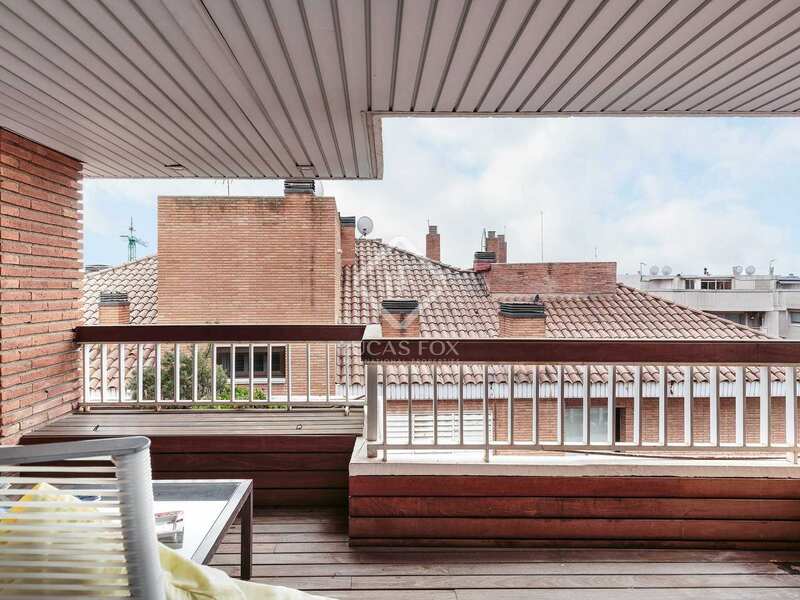 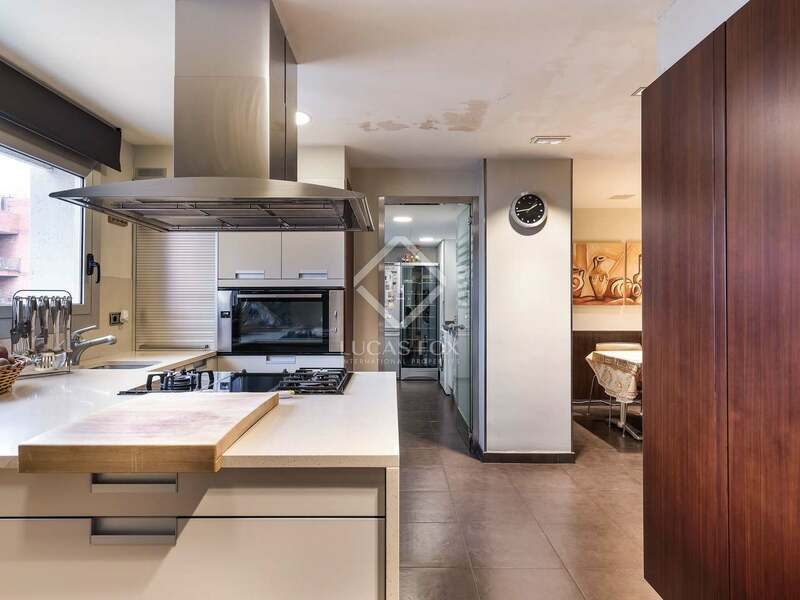 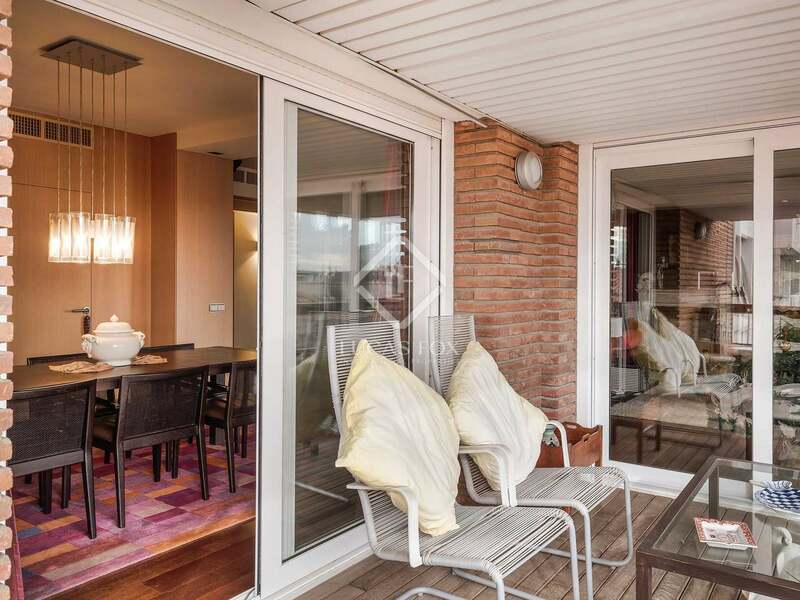 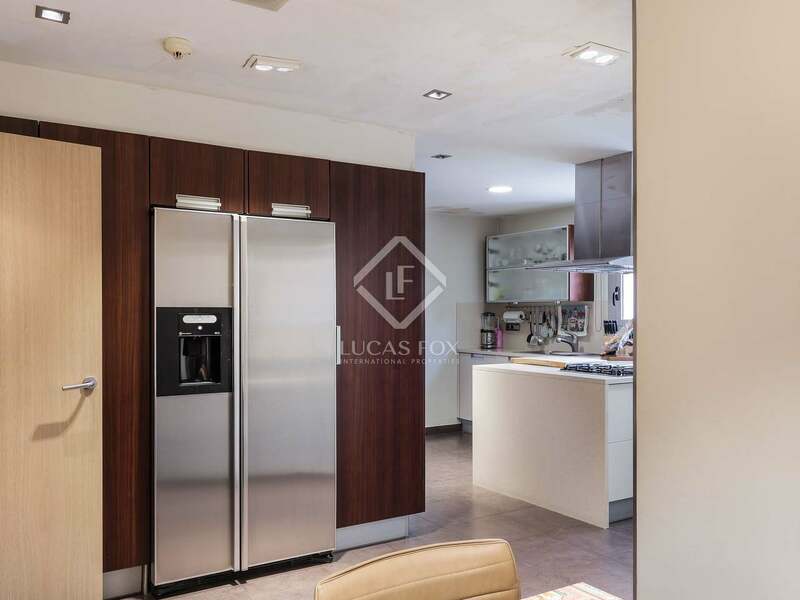 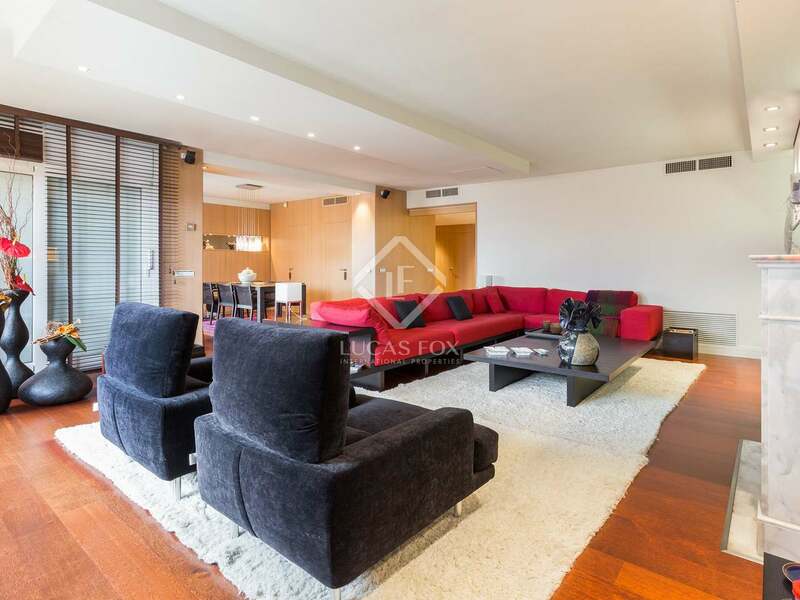 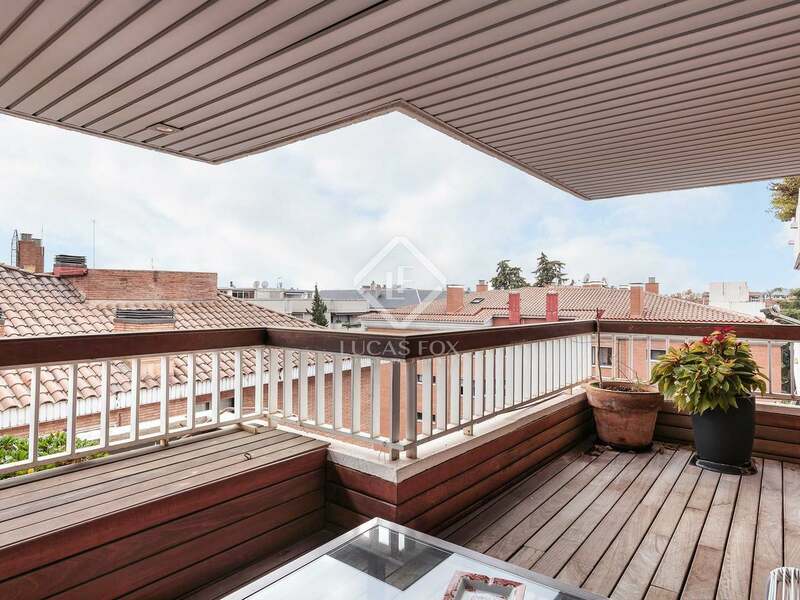 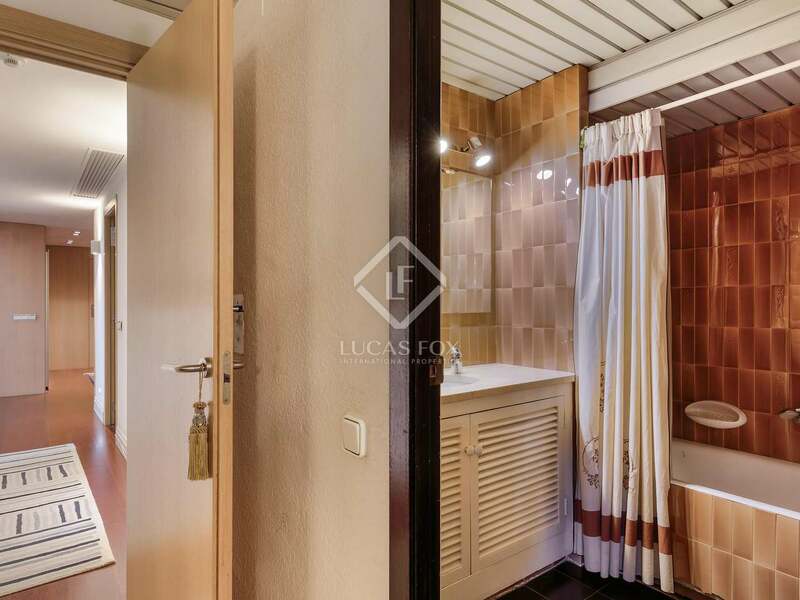 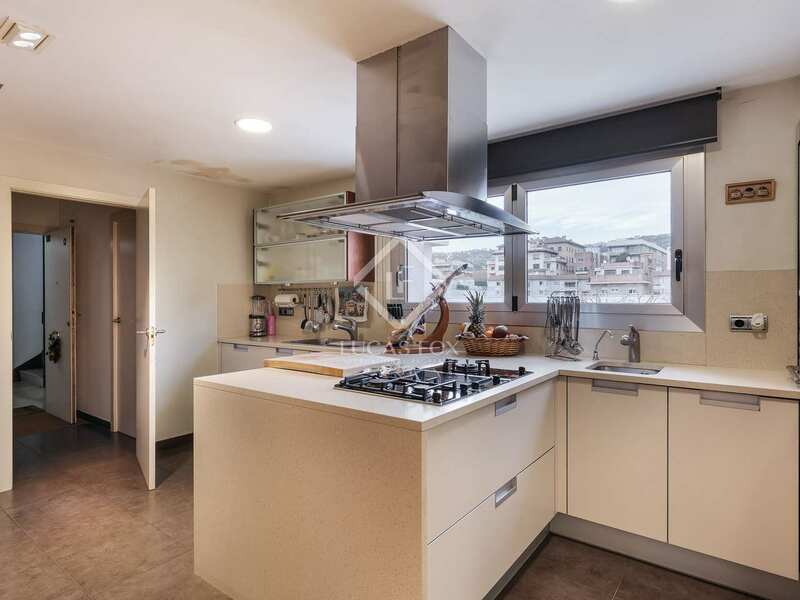 A fantastic spacious, bright high floor property with a terrace, storage room, parking spaces and a communal garden and sauna in the affluent Tres Torres area. 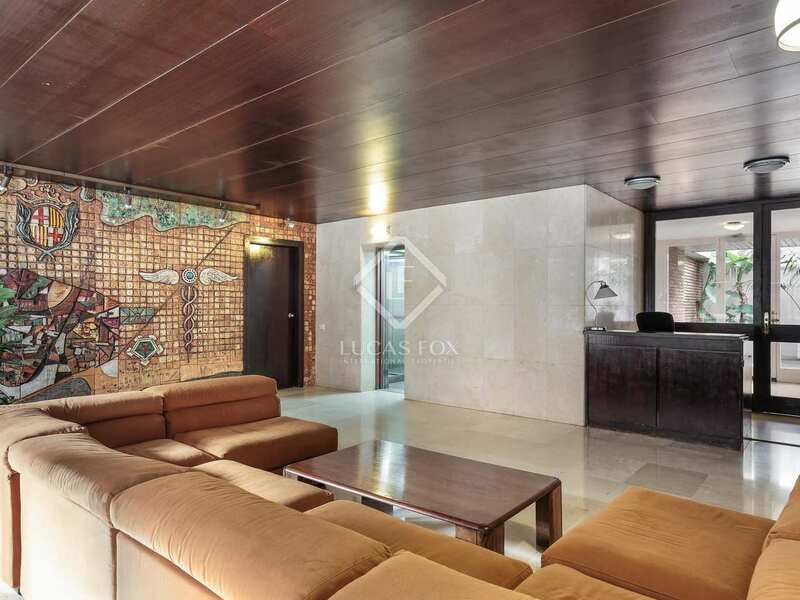 This property is located in Tres Torres, near the station and market by the same name. 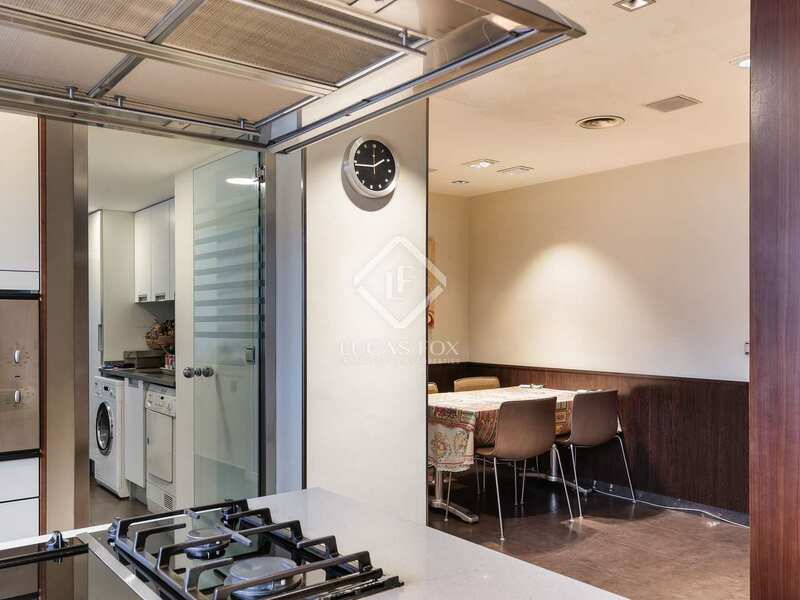 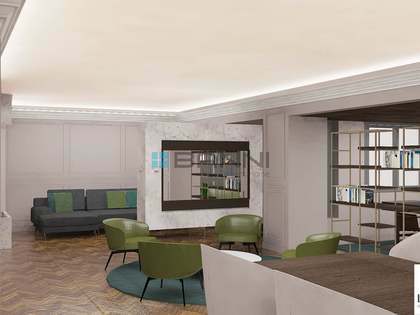 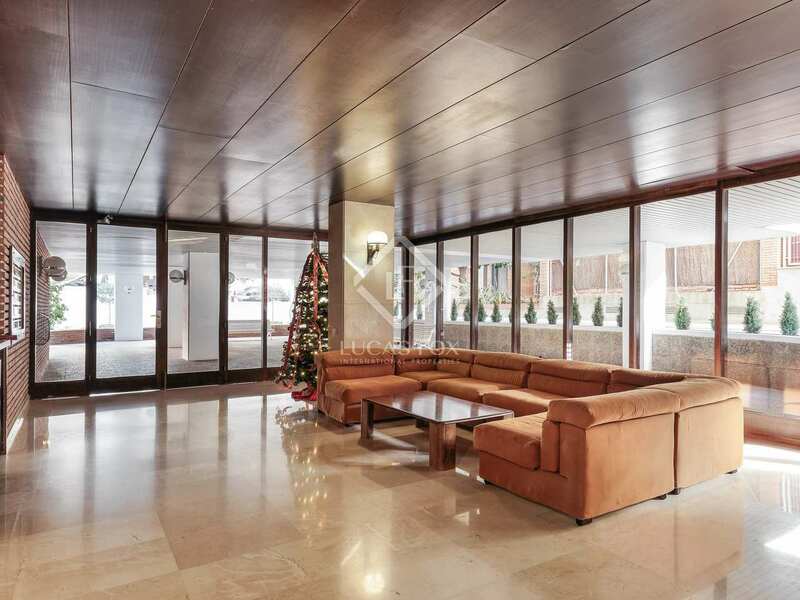 It is close to the Vallvidrera tunnels, the famous Teknon clinic and the Ronda de Dalt ring road which offers easy access to and from the city.